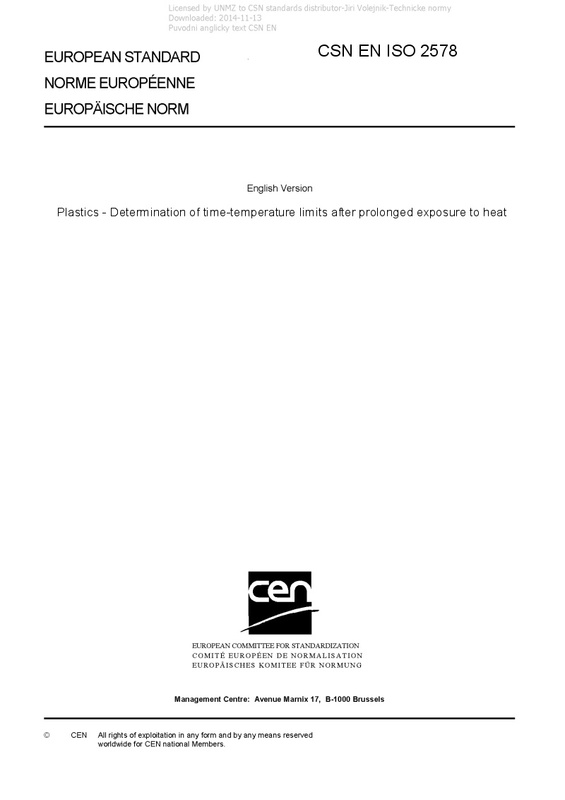 EN ISO 2578 Plastics - Determination of time-temperature limits after prolonged exposure to heat - Specifies the principles and procedures for evaluating the thermal endurance properties of plastics exposed to elevated temperature for long periods. The study of the thermal ageing is based solely on the change in certain properties resulting from a period of exposure to elevated temperature. The properties studied are always measured after the temperature has returned to ambient.